Impaired annuity provider Liverpool victoria has exited the market as sales of impaired annuities continues to fall in 2016 following the pension freedoms and record low rates after the EU Referendum. The after being a leader in the impaired annuity market Liverpool Victoria has taken the decision to stop offering enhanced ill-health annuities. As with standard annuities, these ill-health plans pay a guaranteed enhanced income for your lifetime in exchange for a pension fund and based on medical conditions that reduce life expectancy. This can often increase the income received by 20% to 40% depending on the severity of the personal circumstances such as diabetes, heart and cancer conditions. Less serious conditions can also qualify such as lifestyle conditions such as high blood pressure, high Cholesterol, height & weight, smoking and alcohol consumption. The departure of Liverpool Victoria comes after Standard Life and Aegon announce they will also exit the annuities market. Following George Osborne's March 2014 announcement of the new pension freedoms the sale of all annuities decreased significantly including enhanced annuities for lifestyle conditions and impaired annuities for more severe medical conditions. 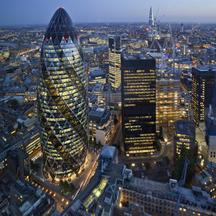 Compared to the first quarter of 2015, sales of enhanced annuities reduced by 29% from £357 million to £254 million according to data from Willis Towers Watson. The decision of Liverpool Victoria to exit the market is more involved than just lower sales. It was firstly due to the the pension freedoms impact on the enhanced annuity market, taking away the compulsion for people to use their pension fund to buy an annuity. Secondly it was due to the record low interest rates reducing the 15-year gilt yields, in particular after the EU REferendum and resulting Brexit vote. Thirdly tougher capital adequacy requirements introduced by Solvency 2 further reduced the level of annuity that can be offered and offering poor value to people at retirement. The changes since pension freedoms were announced have produced record low annuity rates and our benchmark example for a 65 year old with £100,000 buying a single life, level annuity has seen income reduce £1,447 pa or 23.5% from £6,143 pa in June 2014 to £4,696 pa in August 2016. Liverpool Victoria no longer see retirement as a one-time event resulting in an annuity but rather as a series of shorter term events requiring greater flexibility. Flexibility is offered by other products such a fixed term annuity or flexi-access drawdown where an income can be selected and the pension fund reviewed in the future and accessed. This is different from a lifetime annuity where the fund is exchanged for an income. 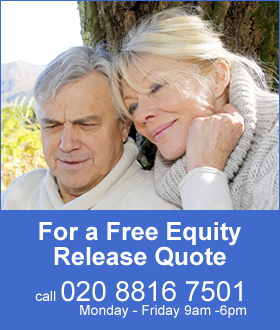 In addition Liverpool Victoria also see equity release as an important part of their business as people with equity in their properties can access this as cash while remaining in their own home. Annuities are capital intensive for life companies when compared to other options and if sales continue to fall other providers may consider an exit from the market reducing competition and value for people at retirement. Even so the impaired annuity does offer higher income levels, 20% to 40% higher than the standard rates and a secure guaranteed income for life which many people are looking for.